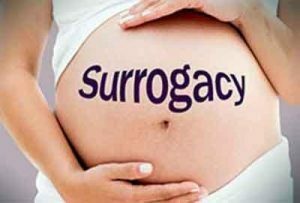 Mumbai: The Maharashtra Child Rights Commission (MCRC) has issued guidelines to streamline surrogacy. In the absence of stringent surrogacy law in the country, the Commission has attempted to control the uncontrolled surrogacy centres, agencies, hospitals etcetera. The directions have been issued to take action against one Prakash Bhostekar, who has two daughters already, wanted a third male child through surrogacy. The Commission said that the surrogacy process shall be initiated only after submitting the report before the Children Court constituted under Section 25 of the Child Rights Protection Commission Act, 2005. The child rights body has recommended creation of a state level monitoring cell to monitor the surrogacy centres and to handle the surrogacy cases as per Indian Council of Medical Research (ICMR). The MCRC has also said that a task force inclusive of District officers from Health and Police department and representatives of reputed volunteer organizations should be formed in each district of the State. “The task force shall take care of registration of surrogacy hospitals and protection of surrogate mother and the child. It shall ensure that the centres are running as per the guidelines of the ICMR,” the Commission said. It also asked the Maharashtra government to decide the procedure for registration of surrogacy centre and the competent / appropriate authority and shall notify the same. The Commission also directed formation of district level committee comprising District Women and Child Development Officer and District Health officer “to understand the family, social, financial and statutory background of the person/ couple to go for surrogacy and to prepare a report about the family”. Maharashtra Child Rights Commission Chairperson Pravin Ghuge says that recommendations of the Child Rights Commission will control the evil-minded surrogacy traders. “The historical recommendations made by the Child Rights Protection Commission would bring control on all surrogacy centres across the state,” Ghuge said. The chairperson expressed hope that the recommendations shall be implemented with immediate effect.